If you’re looking to develop a brand, creating the perfect logo design should be a high priority. The logo design will be at the forefront of your idea and in most cases, it’ll be the introduction to your company when you’re not there personally. It’ll play a big role in creating relationships with customers and creating sales and acting like a sales assistant who’s always out and about trying to win your business more work. It’ll go out on letterheads, flyers and brochures. It may be displayed on your shop, vehicle or uniforms. Online it’ll be on your website, social media profiles and emails. 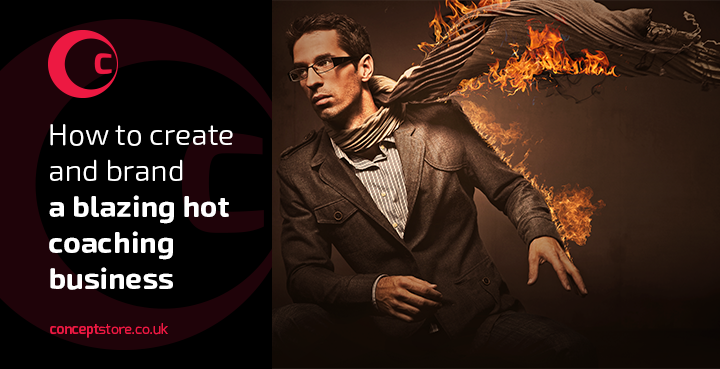 And internally, the perfect logo design will inspire. You’ll find that your business brand will suddenly get a new boost of life with the right logo design and your logo design is probably the hardest working asset in your business so you’ll want to get it done right. But what makes the perfect logo design? Is it the aesthetical appeal of the logo design? The style of design used? The technicial aspect of the logo design? The message or identity it creates? Or the success of the company that uses it? With the perfect logo design, your marketing and communication with customers will become a lot easier but also much more profitable. The question is, how do you create the perfect logo design. Creating the perfect logo design is not about drawing pretty little pictures and neither is it about picking pretty colours. Creating the perfect logo design is a practice of science, data, skill and communication. To show you exactly what I mean, we need to go in-depth. As well as looking at design principles and the technical aspect of logo design, we’ll be going back into history and science to look at Ancient Sanskrit texts to find out just how to create the perfect logo design. The aesthetical element of logo design goes hand in hand with the theoretical element of design. This theoretical element is the summary of objectives and the springboard for inspiration as to what the design should look like but more importantly what message it should communicate. To create the perfect logo design, that’s what you need to do, figure out what message the logo design needs to convey. To help find this, we have a logo design brief that you can use. It’s a great way of summarising facts and details and exploring thoughts and ideas. It’s a literal document but not to be taken literally. It’s there to make both the client and designer start thinking about the brand and logo as a real life asset. Once the brief is filled out, we can use design to fine tune and tweak the message being created. And that message may be the most important part to creating the perfect logo design. 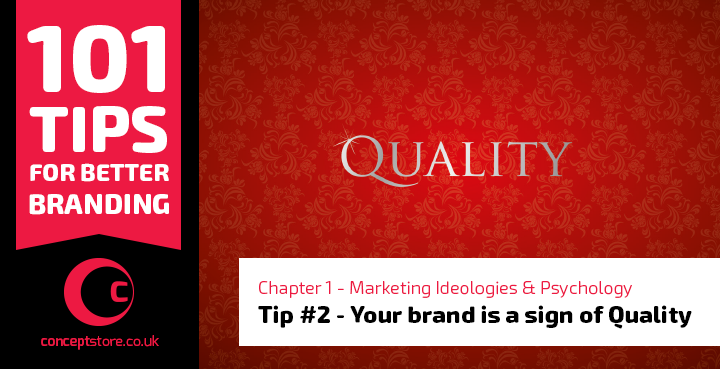 If your logo design doesn’t communicate the right message for your business then it is imperfect. It may look great but just not say the right thing to the right people. Fill out the design brief and figure out what your logo design needs to say but fill it out with your business intentions and customers desires at the heart of the project, not your own personal wishes. If you can start the logo design project with a great design brief then your half way there to creating the perfect logo design. Now it’s time to do some visual research. Exploring the Perfect Logo Design. A good logo design will be a development of design. Not a quick wham bam, thank you ma’am. It takes time to study the design brief and to fully understand it. It takes even longer to transpose those words into a single piece of art that needs to communicate a specific message. To create the perfect logo design, the logo designer needs to read the brief, understand it and do research. Research into the client, colour, shapes, icons, literature, industry, design, communication and philosophy is often the norm. These ideas can come together to create a mood board of styles, images and visuals reflective upon the project. The designer can use all these ideas to create a new idea for your logo design. More often than not they’ll use several ideas and explore each one for relevance and functionality to see if it can meet the project goal. The designer will draw ideas, tweak them and then redraw. They’ll reiterate, reiterate and then reiterate to get the right look, mood and feel, as well as create a design that’s technically correct and functional. The perfect logo design starts with good research and that’s the first step to creating the perfect logo design, both visually and technically. To research the perfect logo design, we’re going to go all the way back to the beginning of time…. The Sanskrit, The Fibonacci Scale and The Perfect Logo Design. Sanskrit is an ancient language used and documented over 20,000 years ago, leading way to the religious belief of Hinduism, the world’s oldest religion. As a collection of literature, Sanskrit was written by scientists, philosophers, artists and preachers, covering many questions in detail to connect science and spirituality as one. From physics and chemistry to medicine and maths, the language and discoveries made in the time of Sanskrit have been astonishing and it’s been considered that the technological advancements and discoveries made today are simply reinventions of those made previously via the Sanskrit some 20,000 years ago. 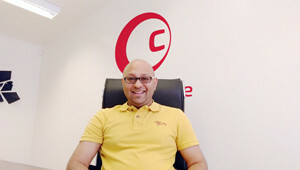 What has the Sansksrit got to do with Logo Design? Around 500 BC a Sanskrit version known as Pingala made notations of natural sounds and sequences that laid a numerical pattern. This pattern was studied and documented by Indians for a further 1000 years but unfortunately the most advanced studies were lost. However, 10,000 years later it was an Italian by the name of Leonardo Fibonacci who rediscovered the pattern and investigated it further to invent what’s known by Mathematicians as the Fibonacci Sequence. 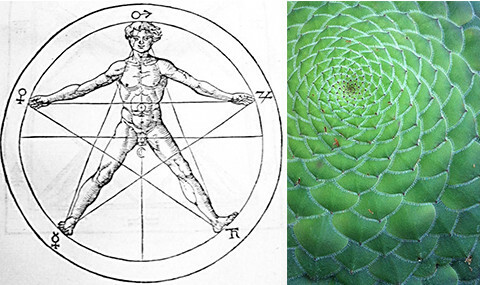 The Fibonacci sequence is a mathematical sequence deriving from nature, monitoring and regulating life and death. It appears biologically in Bee colonisation and visually in the arrangement of flower growth, petals, leaves and even the human body. If you’ve ever wondered how and why a plant grows its leaves in the way it does, the answer is within the Fibonacci scale. If you’ve ever wondered why your arms, forearms and hands are a certain size in proportion to each other, the answer is within the Fibonacci scale. 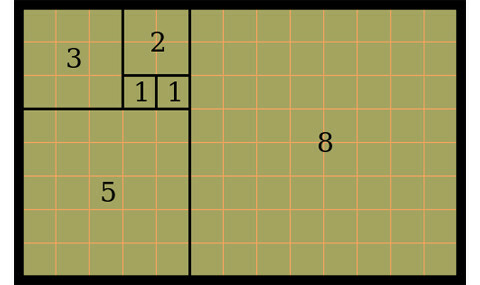 If you’ve ever wondered why your phone camera has the option for a 3×3 display grid, the answer is the Fibonacci scale. 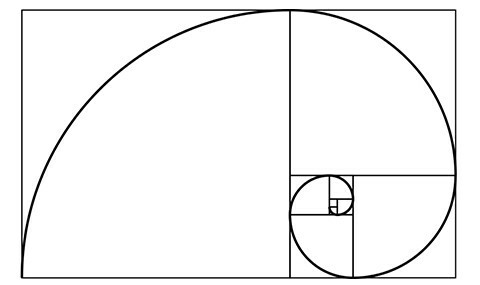 Mathematically the Fibonacci sequence leads to a certain proportion in growth, one that’s proven for some reason to be favourable to the human eye. The growth between any 2 consecutive numbers in the sequence has a ratio of 1.6 and that ratio can be applied effectively to any design resulting in the same effect (being naturally pleasing to the eye). For ease of use. 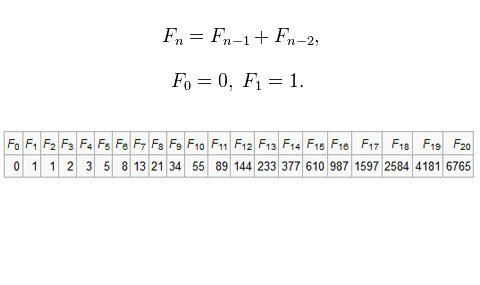 this equation can be converted to a grid form and is called the Golden Ratio. 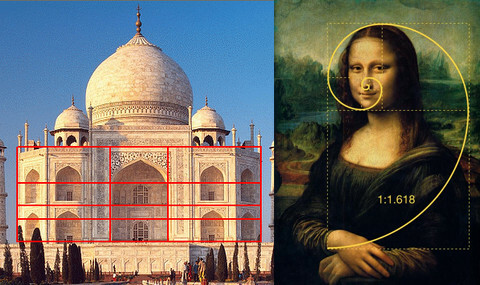 The ratio has been used in design for centuries by architects and artists to product designers and web designers. To create the perfect logo design, you must use the Fibonacci Scale for a perfectly poised finish to your shapes, illustration and layout. It provides logic and structure to an otherwise freeform discipline and incorporates design principles such as repetition, balance and alignment into the fold, naturally. Picking the Perfect Colours for the Perfect Logo Design. Many think that designers work with colour so they know off of gut instinct or good taste what colours go well together. Whilst experience or passion for designing can help you build expertise in colour picking, it doesn’t substitute fact. Whilst we may adore different colours and enjoy looking at them, the reproduction of colour and the basis of the entire colour system is like a visual mathematical formula based on rules. As a designer I have to pick out a formula that might work and then search for an equation that reveals the right answer. These colour formulas, equations and answers are also based on psychology, revealing colour harmonies that naturally look good to the brain and eye. Certain tools like colour pickers, help designers to find great colour combos that work well together not just for the logo design but for a greater identity system. Some of the most famous logo designs revolve around simplicity in colour or minimalism because it’s easier to recognise a single colour as oppose to many but that’s not the key to the perfect logo design. The key to using colour to create the perfect logo design is to use colours carefully as oppose to sparingly. Words, letters, fonts, symbols, type and typefaces are all different ways of describing text and its components. What we seem to forget is that each letter is actually a drawing and each drawing is symbolic of a letter. The style that the letter is drawn in represents a typeface, a bit like a portrait painting. A portrait painting will highlight a person’s facial features, create a style of art and project a certain character for the portrait. If a different artist paints the same persons portrait, they’re likely to come out with something just a little bit different, showcasing a different final result. And that’ exactly how typography works. Fonts are portraits made of a complete set of letters, designed by a single artist who had a specific vision as to how the portrait should look. This results in a unique character and style that creates a specific tone and message. To create the perfect logo design, choose the right font sets and never use more than two fonts for a single logo design. And if you need two fonts then remember that your fonts need to marry one another and become a good-looking couple. It doesn’t matter if they’re different in style, age or character. They just need to be able to work well together and work well with the logo icon, if any. All great logo designs have a hint of repetition in them. This repetition may be developed by the Fibonacci scale or inspired by the typography but in any case, the repetition will be subtle, creating an overall harmonised logo. A good font will have repetition already embedded into its DNA but a good logo design will likely carry this DNA through to the logo symbol (if any) as well. The symbol design, should also have repetition if possible. Any type of shape used to create the symbol must be reflective of other instances of the same shape within the symbol. The art of repeating shapes creates a holistic finish to a logo design, making it look more iconic, badge like, and yes, you guessed it, pleasing to the eye. Does the logo have balance? Perfect Logo designs have great balance in graphic design. They either stay stuck down to the ground or they float seamlessly in mid-air. But in any case, they don’t lose balance and topple over. The logo elements should look like their meant to be together, in a particular way. You see, a logo design may have more than element. It could have as many as five. All of these elements need to conform into one single symbol of design that’s clear to read, iconic and makes sense. It needs to be balanced so not one element over powers the other, yet the overall message it still there. 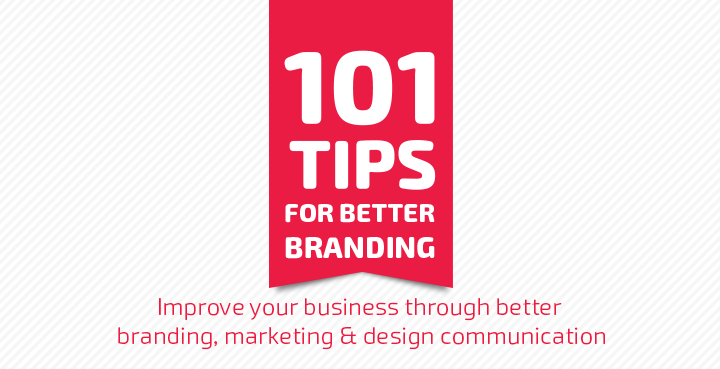 Making the text too big or the strapline too small leaves an unbalanced design that can’t be read. Having the logo mark set too big against the text could mean that the icon is seen but text is ignored. In additon, composing a single graphic using all of these elements could create a messy image with bits everywhere. In short there’s quite a bit of a balancing act to do, so the scaling, design and layout of all elements need to work together to produce a logo design that’s not messy, confusing or falling heavy to one side. 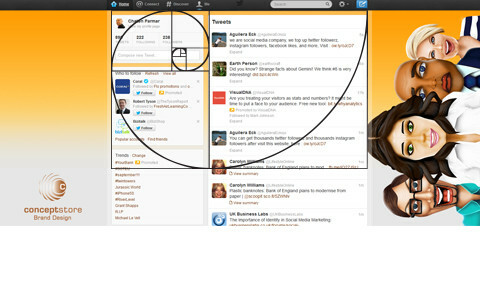 When it comes to laying out a logo design, the Fibonacci scale is again a great tool to use. 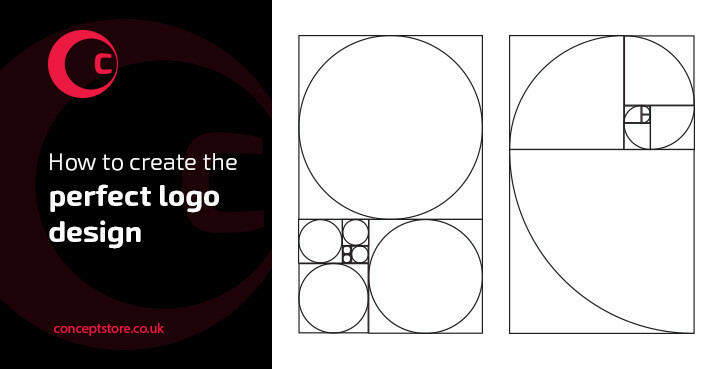 The grid and golden ratio provide logic as to how the logo elements can be scaled and laid out in a way that’s functional and pleasing to the eye. The perfect logo design has balance. The perfect logo design needs to look good and communicate well but it also needs to be functional as a tool. For logo design that means it needs to display clearly and crisply at any size. To do this the logo can’t be produced on any design software, it needs to be designed specifically on vector software. 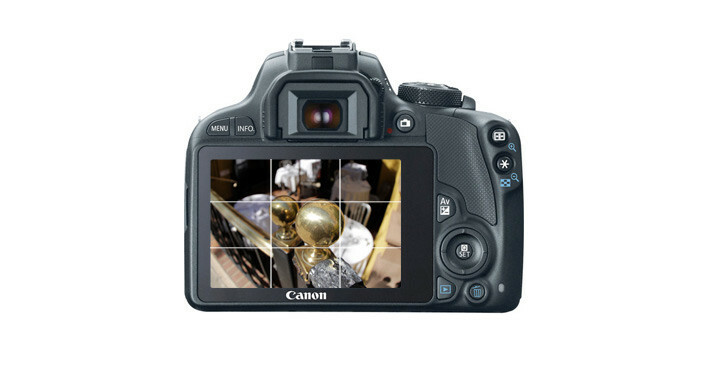 A typical digital image like a photo is considered as a bitmap image where it uses thousands of tiny coloured squares (pixels) on a set grid to create the overall picture. The pixels are so small though that you won’t see them, all you’ll see is the bigger picture. The problem with this is that the image is confined to the grid which is constrained to a set specific size. Think of it as like stretching a piece of cloth. Let’s say we have a piece of cloth which is solid pink with a green floral pattern on it, measuring 10cm x 10cm. We want that cloth to cover a space that’s 11cm x 11cm. We could wet that cloth and stretch it to fit. In doing so the pattern on the cloth will distort and reveal tiny holes as it’s stretched out of shape. The solid pink and green colours will let in light through those holes, saturating the colours and turning them into lighter hues. The texture of the cloth will get frayed and the overall cloth will now look scruffy. The quality of cloth and pattern depreciates and although it fits the 11cm x 11cm backing, it doesn’t look very pretty now. That’s exactly what happens when you create a logo using bitmap software and try to resize it and that’s exactly the reason why the perfect logo design will never be created on bitmap software. Perfect Logo designs are created using vector software. 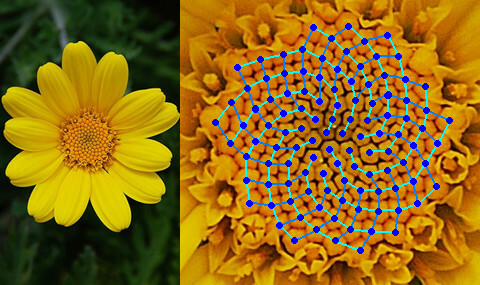 Unlike bitmap, vector software uses boundless mathematical coordinates to map out and create graphics. It’s not restricted by grids, pixels, squares, size or space. You can create a shape using vector software and resize it to any size without concern for how many pixels are available to reproduce that graphic. With vector software you don’t have to stretch the cloth, you can just make it a bigger piece of cloth to fit the backing, without distortion. Perfect logos use vector software. Creating the perfect logo design is no easy feat. It requires great knowledge and an expert touch; however, the perfect logo design is obtainable by any business as long as your logo designer knows what they’re doing. The truth is that many designers don’t know about the background and techniques used to create the perfect logo design and that’s why bad logo designs are created. They may see grids, science, psychology and mathematical equations all as uncreative and irrelevant information for logo designing. But these elements are actually all very creative. You just need to know how to use, interpret and improvise each element effectively to get the optimal result, because logo design is a creative discipline. Looking for the perfect logo design? Get in touch with us at conceptstore.co.uk. 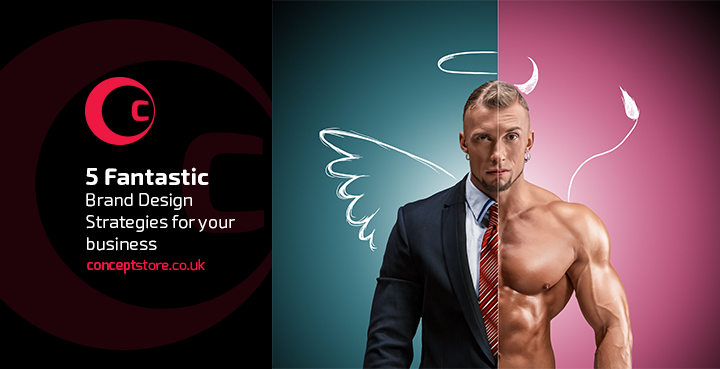 We’re a small design studio based in the Hornchruch and Romford areas of Essex, UK and have designed over 70 logos for businesses locally, nationally and internationally.